Following the publication of the historical paper covering the Russians at Haslar 1808-1809 in May this year the paper was, much to the surprise of the Heritage Group, published in the Russian Maritime History Journal. 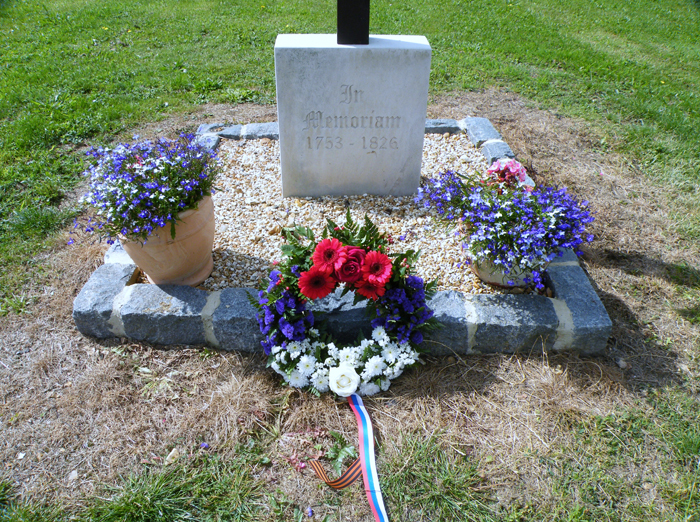 In an email to Eric Birbeck the editor stated that the group had brought to the attention of the Russian people a little known period in their naval history. 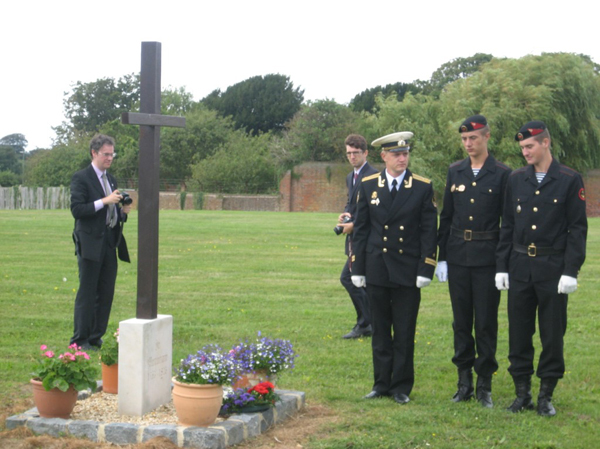 On the 21st August 2012 the group were contacted by the Russian Embassy that the Ambassador of the Russian federation along with representative members of the warship ‘RFS Vice Admiral Kulakov’ wished to lay a wreath at Haslar in memory of the Russians buried in the grounds of the Paddock. On Saturday 25th August 2012 Counsellor Artem Kozhin, 1 secretary Sergey Nalobin, Ambassador Alexander Yakovenko, Military Attaché Colonel Maxim Elovik, Naval Attaché Assistant Commander Dmitry Sharapov accompanied by Mark Trasler (Haslar heritage) and Matthew Bell and Andy Feculak of Our Enterprise Haslar Ltd attended Haslar for the laying of a wreath. (see pictures). 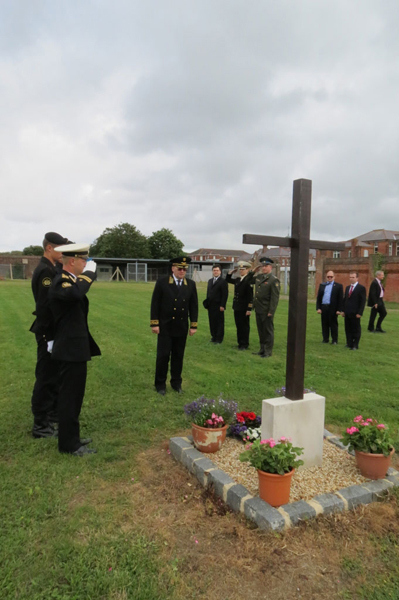 Carol Wincott of ‘Shore Leave at Haslar’ presented the Ambassador with a Colin Baxter Haslar print with a written comment in Russian ‘That his people whilst they rest in Haslar’s grounds will be cared for’. The ambassador was most touched by this comment and the presentation. Our Embassy in London, they send me a text and some photos. Great! 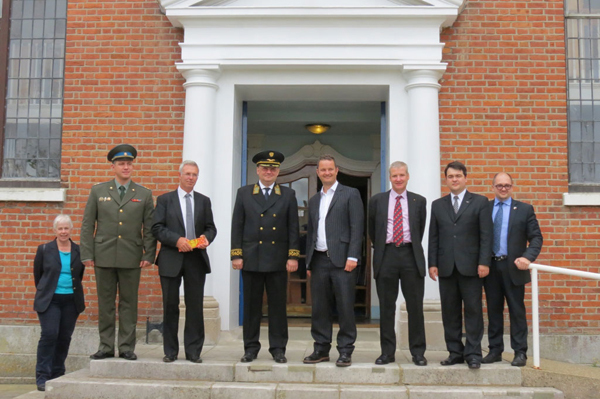 This visit demonstrated that the activity of Haslar Heritage Group attracted public and state attention in Russia. My congratulations to you and your friends! 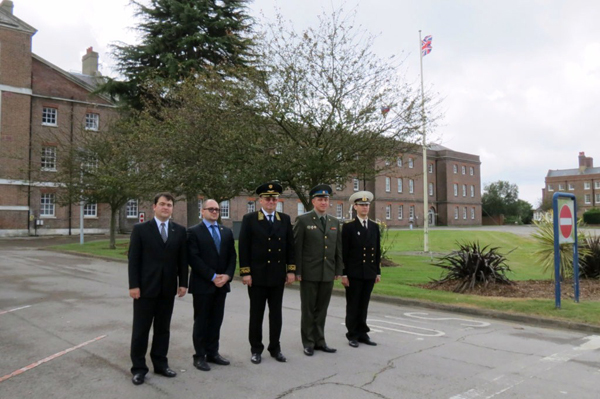 Haslar Heritage, Shore Leave at Haslar, Our Enterprise Haslar Ltd and Harcourt Development Ltd. are both proud and pleased by the recognition given by the Russian Federation, Ambassador Yakovenko and staff, and the Officers and Crew of RFS Vice Admiral Kulakov’. 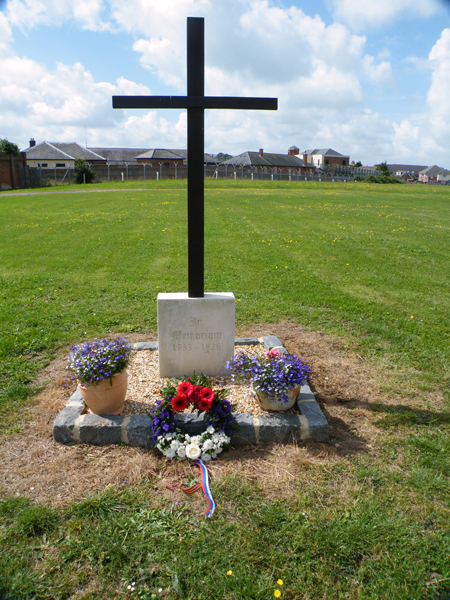 Copyright on all photo's remain the property of MoD, Haslar Heritage Group, Eric Birbeck and Nicola Smith and are not to be reproduced without prior permission.